Re:Desk is a customer service software that helps you to manage emails of your customers/clients inside your office/team or company. Re:Desk converts all your company emails into tickets and provides all necessary flexible tools for managing them through your office departments. Flexible tool for assigning the messages to any support agent allows you to manage the tickets in minutes and truck any responses of the tickets. Provide the best customer support ever with the Re:Desk! Free plan and demo available. 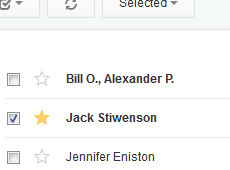 Re:Desk converts your incoming emails into tickets. All one-subject email messages are stored to one ticket that allows you to track all the clients' messages efficiently and fast. You can set up the Re:Desk to receive emails to different departments, for example support@yourdomain.com and sales@yourdomain.com. By choosing department (support/billing/sales etc.) 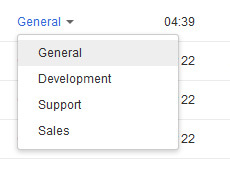 customers can directly specify which department receives the ticket with the email message directly. If the question was submitted by customer to a wrong department, support agent can easily assign ticket to a correct department. If customer sends the message via email, ticket is created automatically and assigned to the default department specified via Re:Desk settings. Re:Desk allows to set some permissions for the staff/agent. 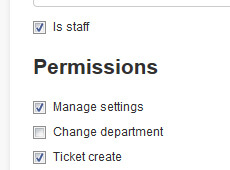 These permissions define staff roles inside department. For instance, a manager of the department can browse and manage all tickets that are assigned to his department, while his staff can see only the tickets which are assigned to them by the manager. Integration add-ons through the Re:Desk API for some major ecommerce engines (CS-Cart, Magento and etc.) will be provide for free along with all our premium Re:Desk plans. The integration feature will include: availability to log in to the Re:Desk with the same login access as your customers have in your online store, section for displaying the order information per your customers and more. Stay tuned with us.